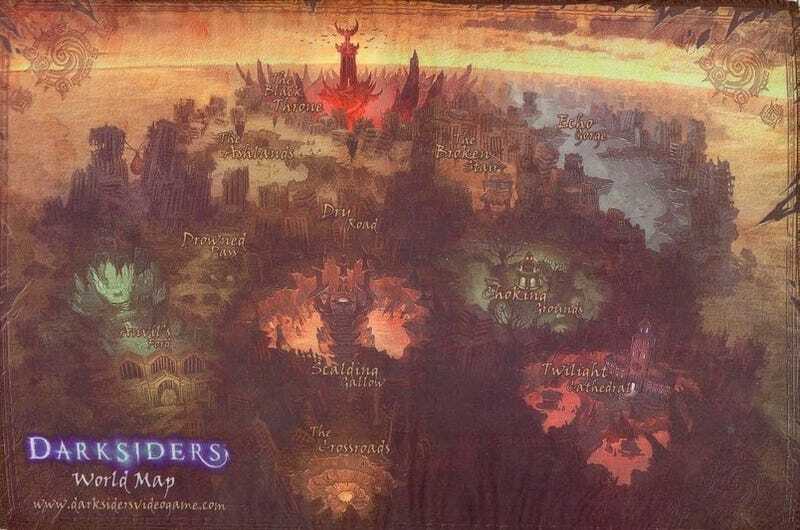 After witnessing a demo of THQ's January 1, 2010 developer-coined "badass-Zelda" in New York City today, Kotaku was presented this limited edition cloth map for the game. The map won't be sold with every copy of the game, but THQ is considering making it available as a gift with purchase at a specific retailer to be determined later. Call me young. Call me a non-PC gamer. Call me whatever you want as you absorb the fact that this is the first cloth gaming map I've ever owned. Cloth maps were packaged in PC games all the time in the past. For stuff like Ultima and PC role-playing games. These days? Not many cloth maps.